A District is defined by Merriam Webster as an area, region, or section with a distinguishing character. The Upper East Side was once unofficially known as ‘the Silk-Stocking District’ due to the affluence of its inhibitors, women of the 30’s and 40’s dressed themselves in all the finest fashions, right down the stockings they wore. So what better way to pay homage to the neighborhood that has withstood the test of time and is still one of the most desirable places to live in Manhattan? We named a bar after it! 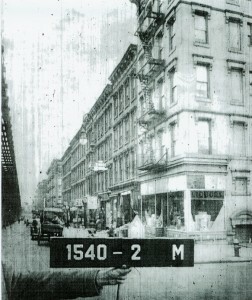 The District Bar & Restaurant was born when history and creativity met on the corner of 94th Street and 3rd Avenue. Interlacing both industrial & Edwardian style to create not just a bar but also an experience. From the Edison bulb ceiling to the stained glass window & the mansion-salvaged towers behind the bar, there is one thing this decor is not, boring! We hope you’ll enjoy your surroundings at The District as well as our great food, beer, and bourbon. We look forward to seeing you at The District!